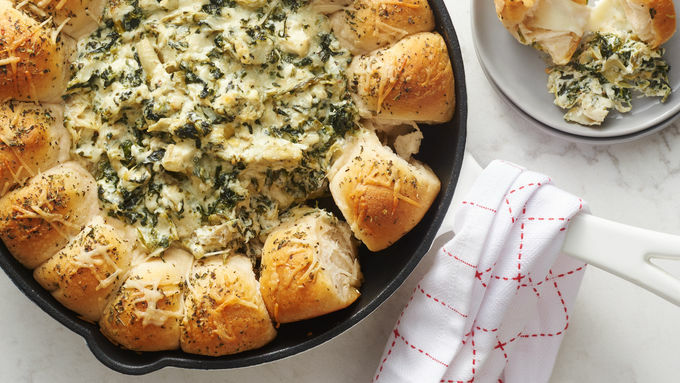 If ever there was a dish to make for a party, it’s this all-in-one cheesy biscuit and dip skillet! Toasty herbed biscuits stuffed with gooey mozzarella made to be pulled apart and dunked in an indulgent spinach artichoke dip. Don’t be surprised if a line forms as soon as you set this on the table!